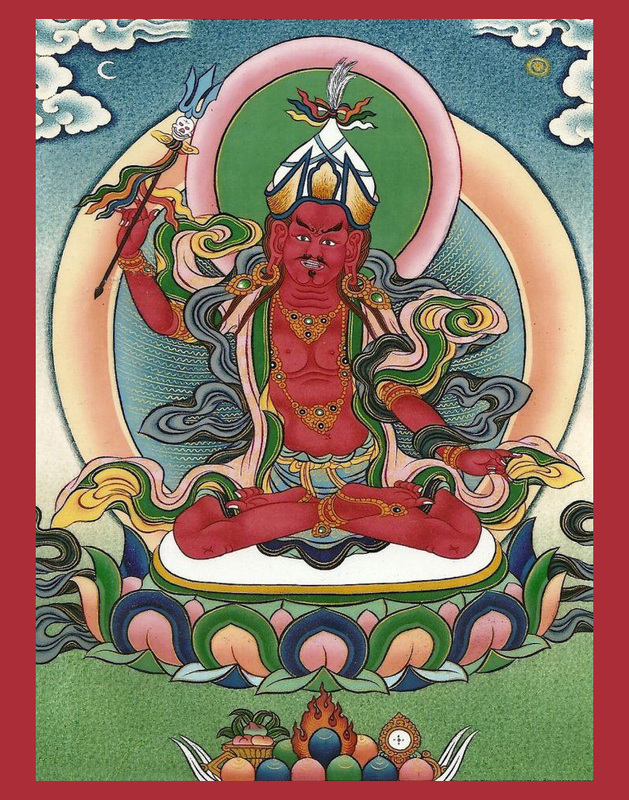 The eighth king of Tibet, Drigum Tsenpo, fearing the power and influence of the Bön Shen priests, banished them along with the Yungdrung Bön teachings from the kingdom. This was first persecution of Yungdrung Bön which resulted in the hiding of Yungdrung Bön texts as terma, or hidden treasure. See previous post, https://ravencypresswood.com/2016/10/01/the-first-spread-of-the-yungdrung-bon-teachings-within-the-human-realm/. After the king had banished the priests, there remained no one powerful enough for him to fight. Therefore, he sent a message to the minor ruler of the Tibetan region of Lho Drak, Lo Ngam Ta Dzi, and commanded him to a challenge with his army. Although Lo Ngam was not inclined to fight, the king insisted and Lo Ngam had no choice but to agree. Soon thereafter, Lo Ngam had a dream in which he was given specific instructions on how to defeat King Drigum Tsenpo. Having followed the advice given in his dream, Lo Ngam was victorious and the king was killed. 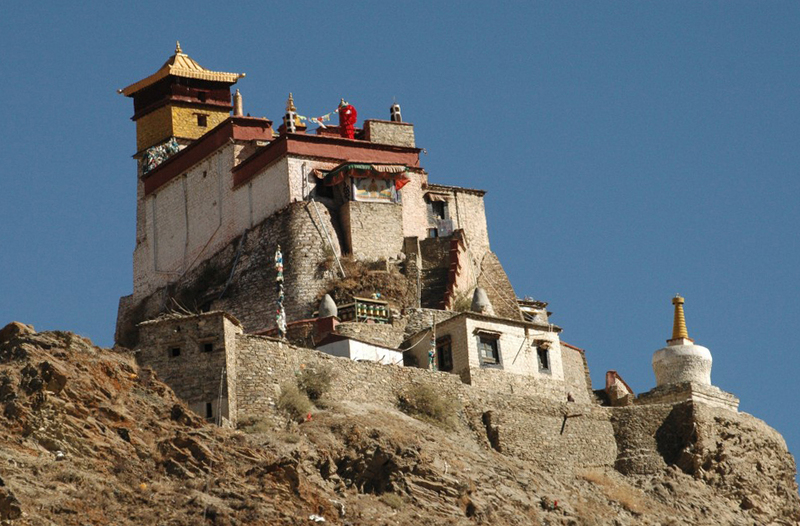 He put King Drigum Tsenpo’s corpse into a copper coffin and threw it into the Tsangpo River. He then banished the king’s sons, made the queen a shepherdess, and ruled the land of Tibet for thirteen years. The queen had a son who, after discovering his royal lineage from a minister loyal to the queen, killed Lo Ngam Ta Dzi. Receiving news of his death, Drigum Tsenpo’s son Pude Gung Gyal, returned to Tibet from exile. Recognizing that the suppression of Bön had caused the death of his father and the downfall of both his family and the entire realm of Tibet, Pude Gung Gyal made the decision to reinstate Yungdrung Bön along with its priests, the Bön Shen. He sent an urgent message to the accomplished Yungdrung Bön yogi, Tong Gyung Tüchen, who was practicing in isolation on an island in the Lake of Nam. He pleaded with the yogi to help him revive Yungdrung Bön. Tong Gyung Tuchen agreed and instructed Pude Gung Gyal to invite one hundred knowledge holders to Tibet in order to begin its revitalization. These one hundred Bön Shen performed a rite of purification for the murdered king, Drigum Tsenpo, offered blessings to all of those present, and offered their support as Pude Gung Gyal ascended the throne and assumed the title of King of Tibet. He became known as Tolek Tsenpo, King of the Highest Good. Thus, the teachings and practice of Yungdrung Bön flourished and spread again in the land of Tibet. *All dates from Gal Che’i bsTan rTsis Phyogs bsDus, A Summary of Essential Chronology, published by Triten Norbutse Monastery. Posted on October 16, 2016, in Tibetan Culture & History, Uncategorized. Bookmark the permalink. 1 Comment.